Residents of AgeCare Sunrise Gardens often list the food as their favourite part of staying here. Our Red Seal Executive Chef prepares meals with taste, nutrition and presentation in mind – and meals are served in the comfort of a welcoming dining room. 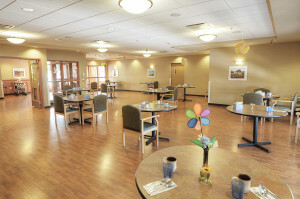 It is one of the many social gathering places in the community.